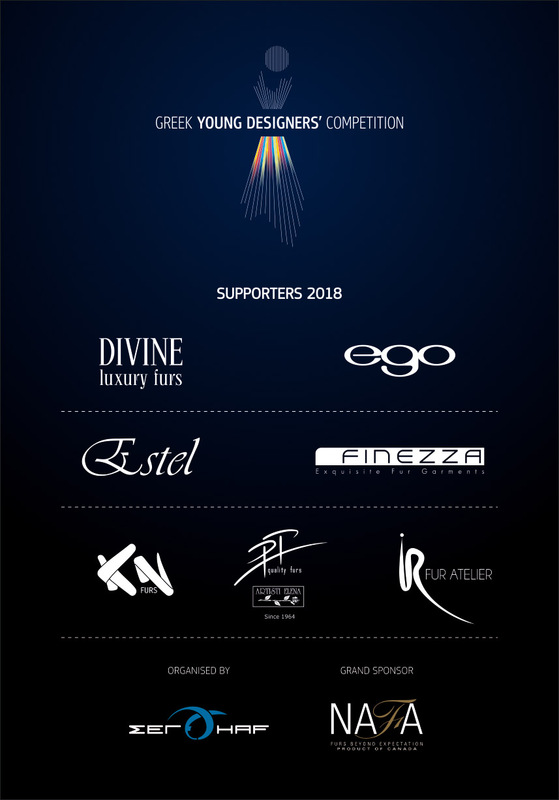 Honoring some of the most influential fashion designers of the world, 10 proposals submitted by the finalists of Greek Young Designers Competition, have been turned into ready-made-outfits thanks to the support and fine handcraftsmanship of members and close associates of Hellenic Association of Furriers. These outfits will be displayed during Fur Excellence in Athens – International Fur Fair, from 23 to 25 of March 2018 in Metropolitan Expo Exhibition Center. The companies which have donated the fur skins and labor for turning these ideas into final garments are EGO Group, ESTEL Furs, DIVINE Luxury Furs, FINEZZA, Ilias Revvas Fur Atelier, KN furs and PT Quality Furs-Artisti Elena. NAFA, the grand sponsor of FEA 2018 offers the grand prize for the first two winners, an all expenses paid trip to Toronto Canada to attend one week seminar about the fur along with designers from similar projects around the world.